Casper Mountain Biathlon Club is a 501(c)(3) non-profit organization, a designated Paralympic Sport Club and a member of the U.S. Biathlon Association. Casper Mountain Biathlon Club’s mission is to provide opportunity and training for youth and adults of all abilities to achieve excellence through the sport of Biathlon. Providing a sustainable world class national biathlon training site that will enhance the local community and economy. Providing quality coaching and competitive opportunities for amateur athletes to participate in the sport of biathlon on a local, regional, national and international level. Providing year-round programs that support biathlon training and competition; including cross-training activities such as roller-skiing, cycling, running, strength training and other related activities. Providing an avenue for athletes to reach their Olympic and Paralympic goals and objectives. 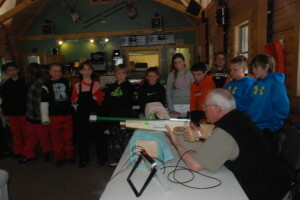 Ensuring access to the sport of biathlon to youth and adults of all abilities and economic status. Promoting and serving as a national leader in the sports of biathlon and parabiathlon. Providing programs of therapeutic value specifically tailored for injured military, people with disabilities and disadvantaged youth. Expanding recreational opportunities for the community. Enhancing winter sports in the State of Wyoming. Rob Rosser, Board President, is an experienced adaptive and Paralympic Nordic and Biathlon Coach. Rosser was an Olympian in the 1998 games in Nagano, three time North American Biathlon Champion, five time U.S. National Champion, former U.S. Army World Class Athlete (WCAP) team and National Guard Biathlon. Captain Rosser spent 21 yrs in the Army National Guard and is an Operation Iraqi Freedom veteran. Rosser is also currently a NRA certified Chief RSO (Range Safety Officer). I want to build a biathlon program in Casper because I see an eagerness to embrace this sport. Wyoming, and Casper in particular, is the perfect place to grow a biathlon program. Biathlon is a rugged endurance sport that also involves an appreciation for marksmanship. The sport reflects qualities and interests that are embraced and respected inherently by the general population in Wyoming. Casper Mountain offers a very attractive venue for biathlon. Its elevation of 7800 ft. results in both early and late season snow. The opportunity for additional on-snow training time will attract biathlon and Nordic clubs and athletes to Casper to train. In my experience, there are really only a handful of quality biathlon venues in the United States. On Casper Mountain, we have the opportunity to build a venue and a program that will meet the needs of all biathletes: recreational, elite, and adaptive. I envision a facility that will not only be self-supporting, but will also significantly contribute to Casper’s economic and recreational opportunities. It will be a monumental task to achieve this vision of a world-class program and facility, but this is a challenge I find motivating and exciting. This sport has been great to me as an athlete and a person. Now as a coach, I also get to witness what this sport has to offer to others. I am a firm believer that sport teaches us valuable lessons and builds positive character traits that stick with us for the rest of our lives. Traits such as discipline, work ethic, team cohesion, and teamwork will help kids succeed in school, family, occupation, and sport. Participation in sports ultimately builds better citizens who will continue to “pay it forward” to society. 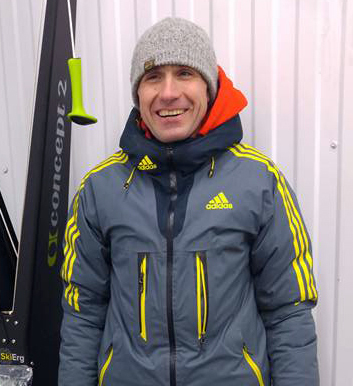 Victor Feofilaktov, CMBC Nordic Coach, U.S. Ski and Snowboard level 200 XC Ski coaching certification, NRA certified Range Safety Officer, has 17 years of cross country ski coaching experience with the Olympic Reserve Sport School in Moscow, Russia as well as nine years of experience as an Associate Professor of Skiing at the Russian State University of Physical Education. Feofilaktov has a "Candidate of Science" (U.S. Equivalent of PhD) from the Russian State University of Physical Education in Moscow and an M.S. in Physical Education/Minor Sports Medicine. He has proven skills in assessing varying fitness levels of athletes and fostering a collaborative environment among all students. Ken Miech, Program Coordinator and Coach, has been a member of the Wyoming National Guard Biathlon team since 2009. He has been Nordic skiing since 1998. Miech skied for the University of Wyoming and was their student-assistant coach his senior year. A second lieutenant, he holds bachelor’s degrees from the University of Wyoming in Philosophy and Mechanical Engineering. He is an Operation Iraqi Freedom veteran. Miech is also currently a Chief RSO (Range Safety Officer) and an IBU official. Harry Brubaker, Board Vice President, is a former Wyoming National Guard Biathlon Team member. Brubaker retired from the Wyoming National Guard as a Lieutenant Colonel and later from the Army Reserves as a Colonel. He skied on the Wyoming National Guard Biathlon Team from 1978 through 1996, competing at the National Guard Bureau Championships each year, which involved National Guard teams from twenty-two states. Brubaker has served as a Natrona County School District cross-country ski coach for sixteen years. He has also served as a biathlon coach at the Olympic Training Center in Colorado Springs, Colorado. He serves as President of the Casper Nordic Club Board of Directors as well as serving on the CMBC board. Brubaker has been instrumental through leadership, advocacy and personal effort to the development of the Casper Nordic Trail System and Nordic Trails Center Lodge. Cathy Nyrkkanen Rosser currently serves as the Managing Director for the organization. 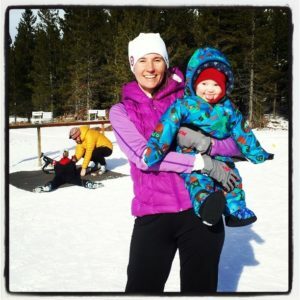 Cathy brings over 10 years of experience as a Director in the Non-Profit sector, as well as experience managing ski and adaptive recreation programs. Cathy holds a BA in Liberal Studies from Seattle University. Engineer. Captain Wyoming National Guard. Attorney, Beatty & Wozniak, P.C.